about this book: Have you ever wondered ... is there an afterlife? How powerful and predictive can intuition be, especially in children? Have you ever been visited by an angel? Have you ever had a "visitation dream"? If you are intrigued by inspirational, thought-provoking books, you will become deeply engaged by "The Girl Who Could Read Hearts". This award-winning novel was inspired by a vivid dream from one of Sherry's deceased sisters. Sherry is the youngest of 10 children and it took 10 years for Sherry to build the courage to publish the book. Much of the overall storyline, such as the segments of the story that embrace death, is drawn from Sherry's personal life, not based on conjecture. The compelling storyline explores issues relevant to many of today's socio-economic woes: prejudice, abuse, eating disorders, and limiting belief systems. It delves into the mysteries of death and of angels, plus intuition, finding God in all, and true love. • "Sherry Maysonave's ability to juxtapose inner and outer worlds for a maximum sense of impact and her realistic portrayal of a youngster's world make for satisfying blends of extraordinary and ordinary experiences. Highly recommended." 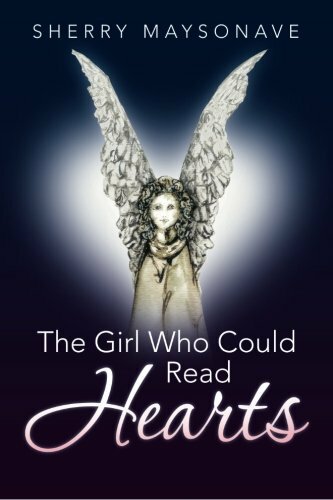 • "The Girl Who Could Read Hearts" is a delightful, inspiring novel. In a world that seems to be getting darker, Maysonave creates a little child to help us focus on the beauty of our planet, and to help us let the light in." • "Sherry is a talented writer who is able to create a multitude of unique, developed characters in a relatively short book. Through Kate, the book's protagonist, Sherry succeeds in portraying the depth of feeling, thought and intuition that children possess, as well as (comically) how it is overlooked and misinterpreted by adults." • "This book weaves spiritual, mystical, and experiential themes into the most compelling family storyline ever. The author's use of metaphors, similes, and analogies bring life and light to these interconnections making the read a great delight."